it looks interesting the design for hinako "congratulations very good idea"
And even Add004 from Tatsu. Will you guys and gals please knock it off?! Also, swipergod, if all goes according to plan, we won't have to wait until half a year to get our hand on this. This is very interesting, is Raiden included in the game launch? Your signature is too large, please read the forum rules. Will change her look later on once other spriting projects are done. Just finishing up palettes now and we should be good to go for a release. 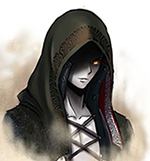 Will be able to show John and Ryuhaku off soon and Morrigan's basic attacks are almost done. Sorry, no custom characters will be released in the next version. Need more time with them. So I should finally finish Benimaru's color separation this weekend. Once I finish Kyo's (just need to do a few sprites), then the rest should be easy. Sorry for the delay. I seem to have some free time now so finishing up the release shouldn't take much longer. Sorry about that, as you can guess by the late reply, I have been busy AF since december, therefore I was unable to take on the separation for beni (hell I ahve not been abel to retake my studies). No worries [E], life is pretty busy for me too. So all palette work is done now except for the Kyo separation. It's gonna take a bit of time to finish this because of the amount of separation done. There's about 50 sprites to convert. Might be about 2 weeks? Then I can finally release the updated KOFE. Almost there. Thanks for your patience. You really like being creative with those smart palettes, don't you? I have to say, I'm impressed. Be patient. Both spriting and coding is not easy. If what you say about Urien is true, you'd know. Also, this is not that kind of forums. Also, show screenshots of your Urien(using a spoiler tag). an SNK Urien? Sorry if this is off-topic but this sorta intrigues me too. 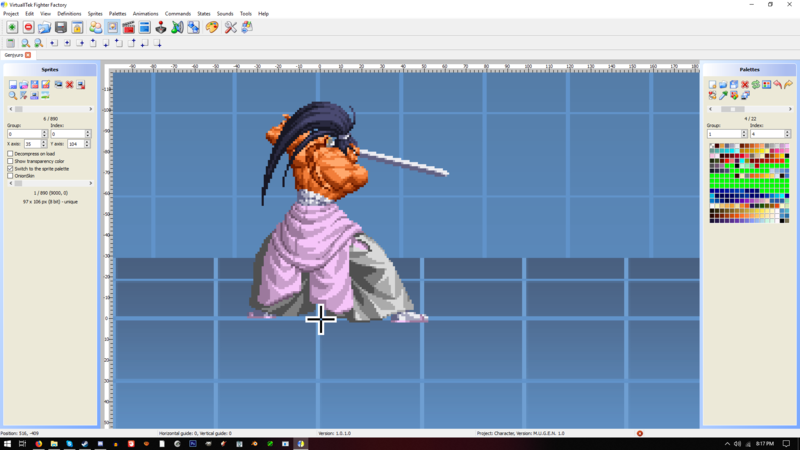 Anywho, Swiper, in speak of color separated sprites, I have completed just now a CS patch of Genjuro (SVC) if you need something like that for a secret character. Looks nice. I've got a couple of characters that I might get to someday, but those right now are far and away as I want to finish the characters that I promised. So for those who've stuck it out, KOFE 19 will be out in the next week or so. Just waiting for sprites now. The color palettes and separation are all done. Thedge is doing some wire damage sprites. Once those are done, we're off to the races. Stay tuned.